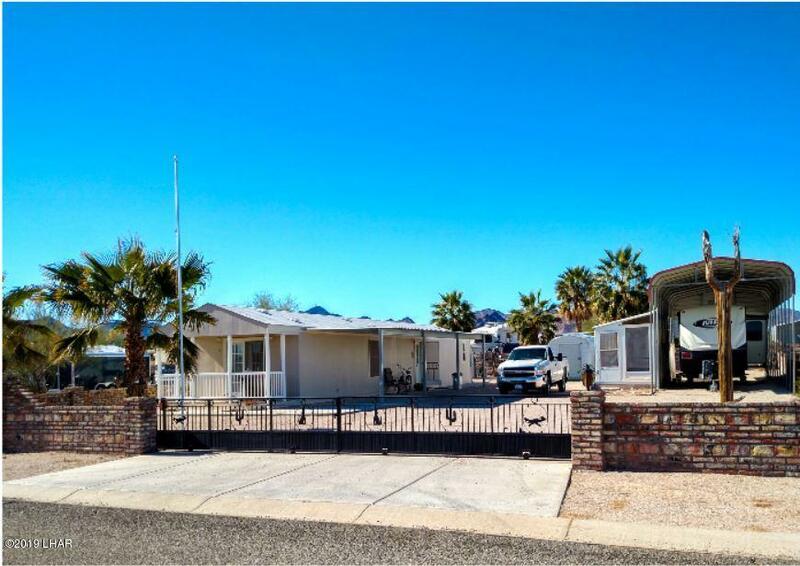 49618 Topaz Ave Quartzsite, AZ. | MLS# 1005822 | White Rock Realty is now serving the Greater Phoenix area as well as Mesa, Lake Havasu City, Parker, and Quartzsite Arizona. We represent Buyer and Sellers alike in Residential, Land and Commercial transactions. Nicely Maintained Home with Patio in Rainbow Acres. 40 ft RV Cool Cover with Hookup and Sun Porch/ Hobby Room. Mexican Brick Walls on all sides with Wrought Iron Gates. Also has UTV Garage and Storage Shed. All Furniture and Appliances which includes a built microwave and dishwasher and Revere Osmosis System.